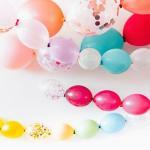 Browse through our joyful collection of balloon pictures, select your favorite one to use on a handmade birthday invitation, or have a picture of a balloon printed and framed to decorate your home. Balloons have this almost magical ability to make us smile ... fond childhood memories arise, and you dream of flying in a majestic hot air balloon, just once in your life. But balloons are also short-lived in nature. Pictures capture those moments of happiness and joy, and turn them into lasting pieces of art. In their own words, "Flickr is almost certainly the best online photo management and sharing application in the world." In 2011 they claimed to have reached 6 billion photos, and in 2015 an average of 2 million photos were uploaded per day. If you are looking for photos to spruce up your blog or web site, or to make your point in a powerpoint presentation, Flickr is a good place to go. As all images are "tagged", it's easy to find photos related to a certain topic. Use their advanced search to find only images with a "creative common license". There are different types of creative commons, but it basically means that you can freely use the image as long as you give credit to the owner. Some licenses even allow the commercial use of the image. Especially Flickr's collection of hot air balloon pictures is huge. 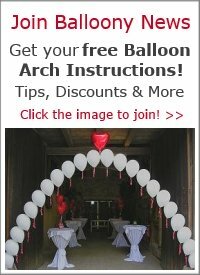 So if you want to find other balloon related photos, you need to experiment with excluding terms related to hot air balloons. Your search could look something like this (without the quotes): "balloons -air -hot -hotair -ride -festival -race". 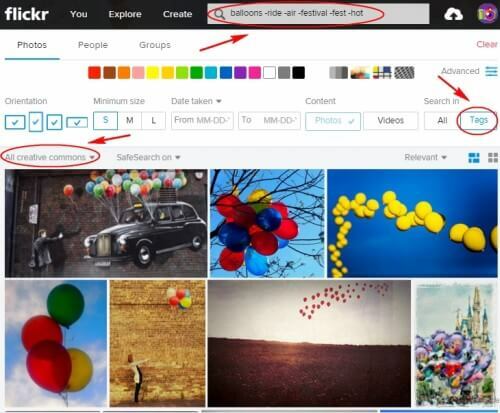 Tip: Search in "Tags" rather than "All" to find more non hot air balloon photos. Here's a screenshot of an example search. All results are images with creative commons license. If you are looking for a poster or print to decorate your home, office or shop, Art.com should be your first stop. They claim to have the world's largest art collection, and if you visit their online store, you are inclined to believe them! Luckily they have an excellent search function to help you find what you are looking for. 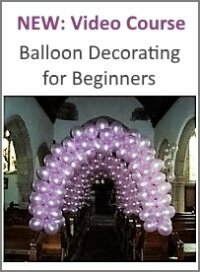 You start by entering a keyword, in our case "balloon." You can then refine your search by subjects, art styles, product types, room, sizes, shapes, art medium, colors and prices. 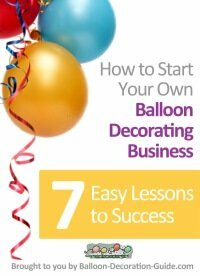 So, let's say you'd like to get a balloon print for your kid. It should be photography style, in portrait format and cost less than $25. At the time of this writing (Feb. 2016), this search brings back 83 results. A sample, sorted by popularity, is shown in the screen shot below. Try a search at Art.com now! Once you pick out your print, you can have it laminated, elegantly mounted on a hardboard, or framed. Of course you can also have it simply sent as plain print, which is the cheapest option. One of Art's unique features is that you can get a preview of what your print will look like before you buy. 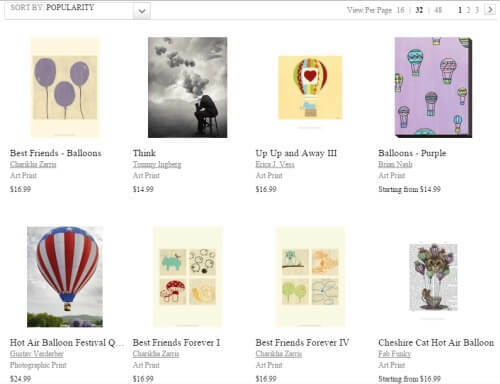 The website lets you visualize your print, frame and matting with different rooms as background. 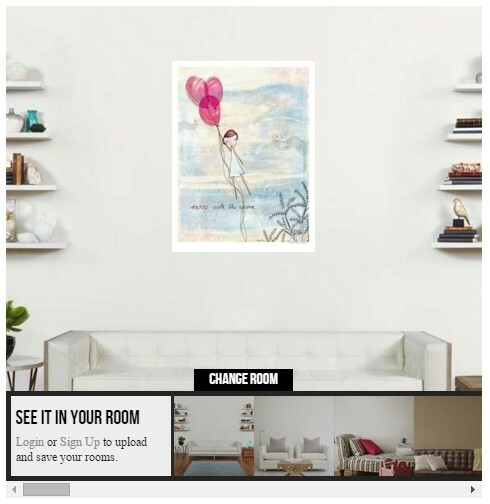 When you are logged in, you can even upload a photo of your own room, so that you can check if the artwork really fits into your home. Interested in Hot Air Balloon Images?